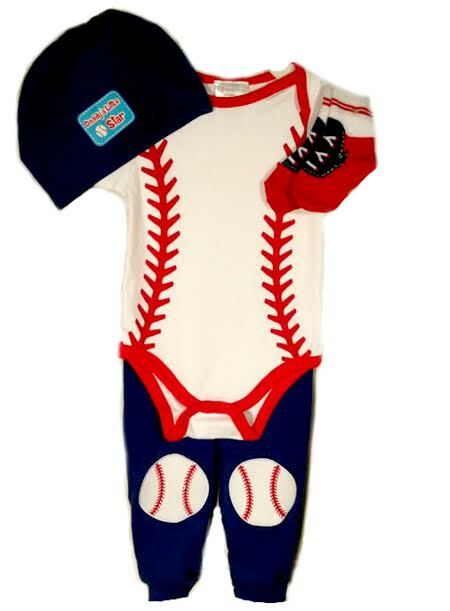 Buster Brown 4 piece layette set includes a hat, a pair of socks, sleeve round neck bodysuits with snap closures and a pair of pull-up waist knit pants. 100% Cotton. Machine wash. Tumble dry.